Elizabeth M. Cespedes Feliciano, ScD, is a Research Scientist I at the Kaiser Permanente Northern California Division of Research. Her research focuses on identifying, understanding, and intervening on modifiable risk factors for obesity and cancer-related metabolic diseases. She holds a Bachelor of Arts from Brown University, a Masters in Social and Behavioral Sciences from the Harvard T.H. Chan School of Public Health, and a doctorate in Epidemiology and Nutrition, also from Harvard University. Dr. Cespedes Feliciano’s dissertation research focused on sleep duration, diet quality, and risk of obesity and diabetes in children and adults. 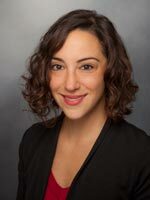 She now applies her expertise in obesity epidemiology to the role of energy balance and body composition in cancer outcomes. This project consists of development of electronic tools to rapidly assess body composition in colorectal cancer and breast cancer patients and present this information to clinicians. It leverages Kaiser Permanente Northern California’s electronic medical records and repository of CT images, including 6,000 images from colorectal cancer and breast cancer patients that were previously manually analyzed for body composition. This project has three major aims: validate software to automatically assess body composition from clinically-acquired imaging (Aim 1); improve the predictive performance of established colorectal cancer risk prediction models through the addition of body composition variables (Aim 2); and develop a prototype of an electronic decision support tool that presents personalized patient risk information to clinicians in an understandable and actionable format (Aim 3). J Clin Oncol. 2016 Sep 6. Multiple Healthful Dietary Patterns and Type 2 Diabetes in the Women's Health Initiative. American journal of epidemiology. 2016 Apr 01;183(7):622-33. Epub 2016-03-02. J Phys Act Health. 2019 Feb 24:1-8. J Cachexia Sarcopenia Muscle. 2018 Dec;9(7):1200-1208. Epub 2019-01-13. Cancer Causes Control. 2018 Nov 15. J Cachexia Sarcopenia Muscle. 2018 Jul 31. Author(s): Beverly CM; Feliciano EMC; Paskett ED; et al. NPJ Breast Cancer. 2018;4:15. Epub 2018-06-29. Proc Nutr Soc. 2018 Jun 04:1-6. Author(s): Brown JC; Caan BJ; Weltzien E; Cespedes Feliciano EM; Kroenke CH; Castillo A; Kwan ML; Prado CM; et al. J Cachexia Sarcopenia Muscle. 2018 May 15. Annu Rev Nutr. 2018 May 04. Author(s): Tabung FK; Cespedes Feliciano EM; Rexrode KM; et al. J Nutr. 2018 Apr 20. Author(s): Xiao J; Caan BJ; Weltzien E; Cespedes Feliciano EM; Kroenke CH; Kwan ML; Prado CM; et al. J Cachexia Sarcopenia Muscle. 2018 Apr 19. Cancer Res. 2018 Apr 15;78(8):1906-1912. Cancer Res. 2018 Apr 15;78(8):1904-1905. Int J Cancer. 2017 Aug 18. Breast Cancer Res Treat. 2017 Feb 07. Cancer Epidemiol Biomarkers Prev. 2016 Dec 16. Physiol Behav. 2016 Nov 21;169:52-58. Epub 2016-11-21. Int J Cancer. 2016 Sep 15;139(6):1223-30. Epub 2016-05-17. Cancer Epidemiol Biomarkers Prev. 2016 Aug 26. What Should Cardiologists Tell Their Patients About a Healthy Dietary Pattern? J Am Coll Cardiol. 2016 Aug 23;68(8):815-7. Obesity (Silver Spring). 2016 Aug 22.